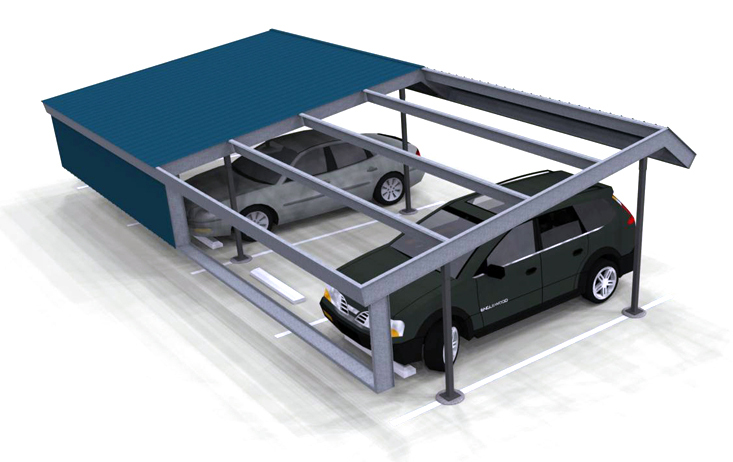 Hot Dip Galvanizing "Now Standard"
Two column flat style carports are configured using (2) columns per bay or "two car spaces" and have a slightly pitched roof to shed rain and snow. 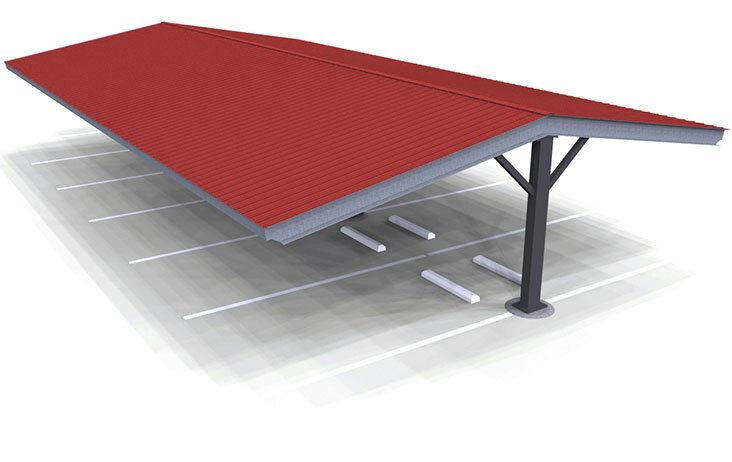 Single column flat style carports are configured using (1) columns per bay or "two car spaces" and have a slightly pitched roof to shed rain and snow. 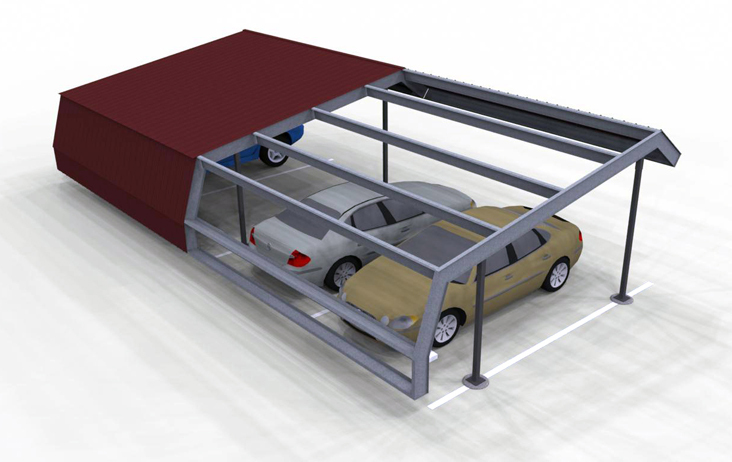 Single column double flat style carports are configured using (1) columns per bay or "four car spaces" and have a slightly pitched roof to shed rain and snow. 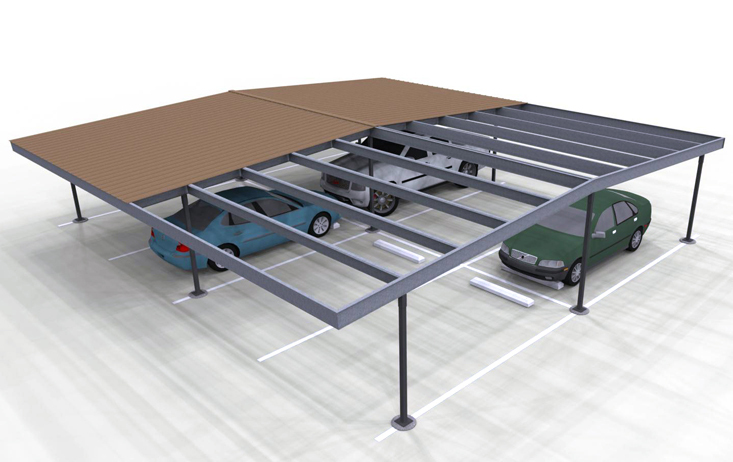 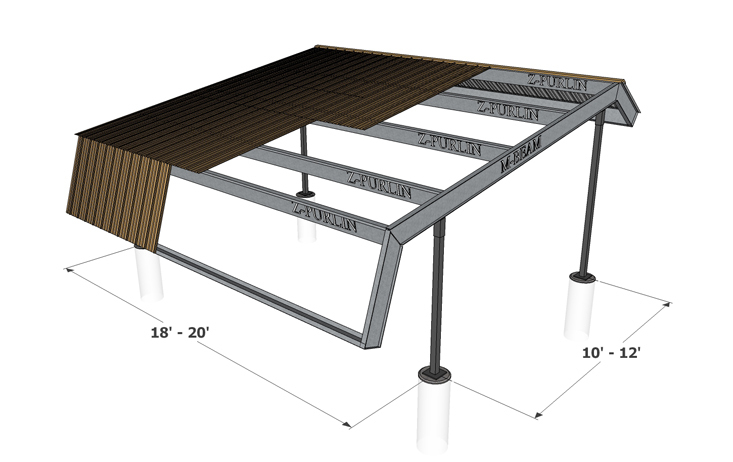 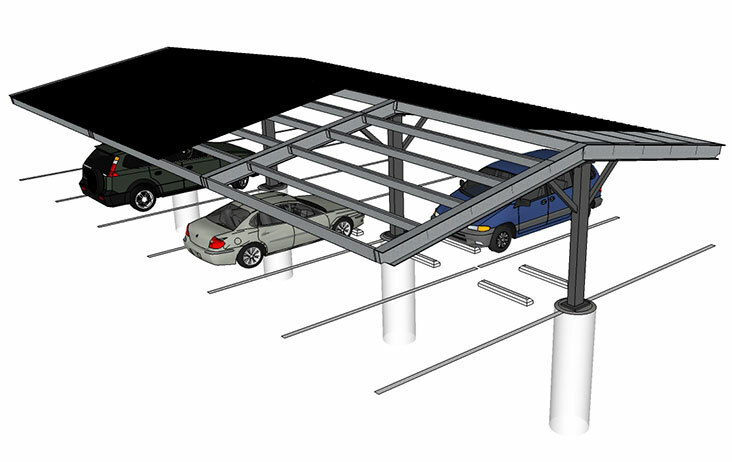 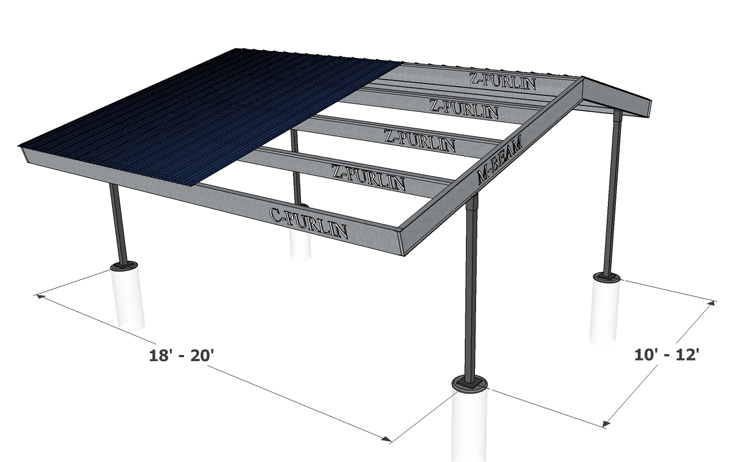 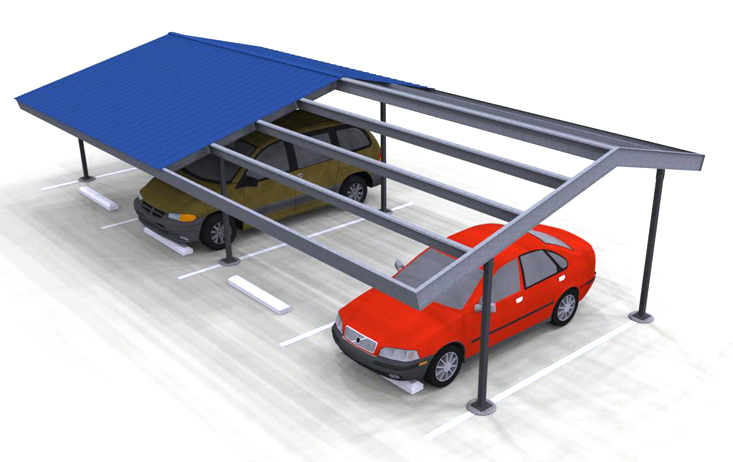 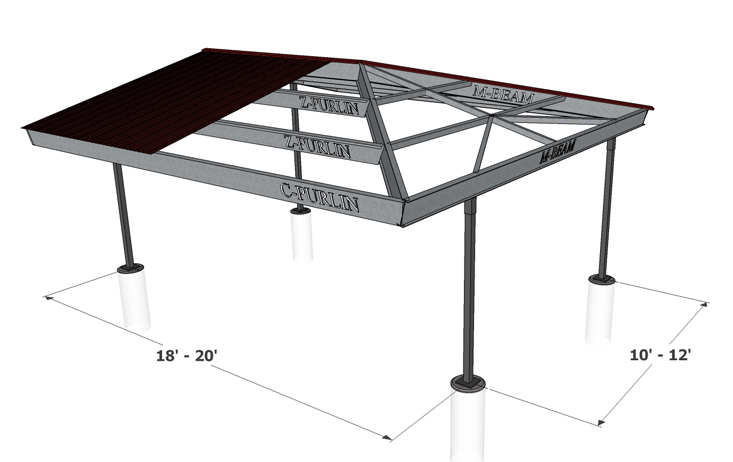 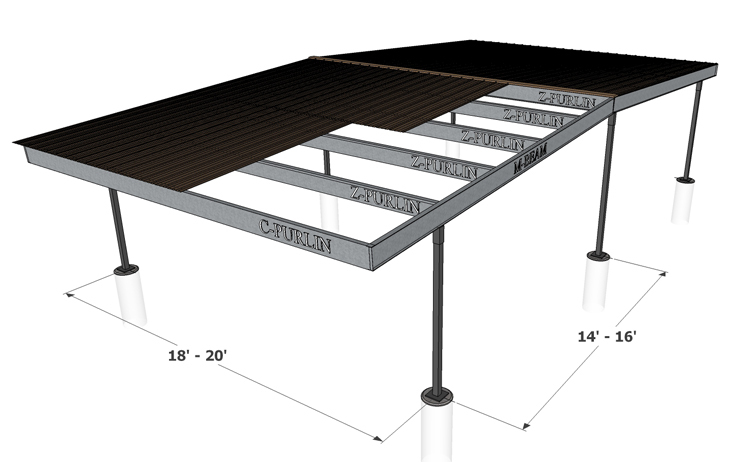 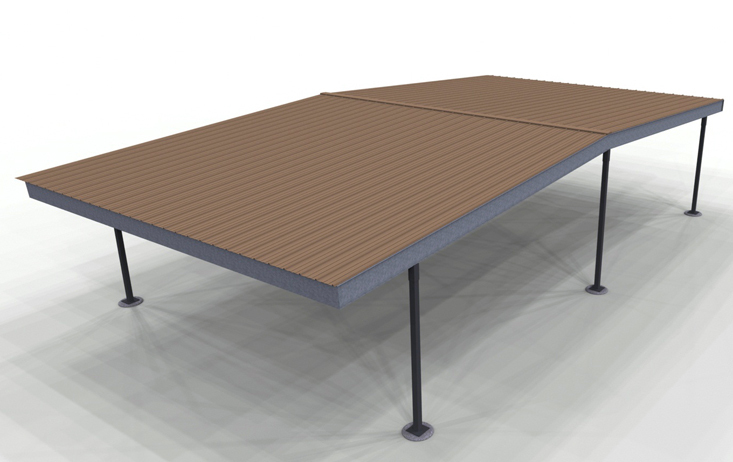 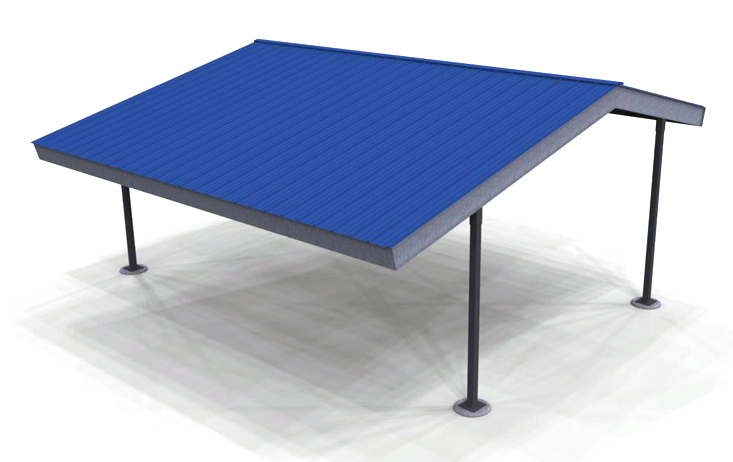 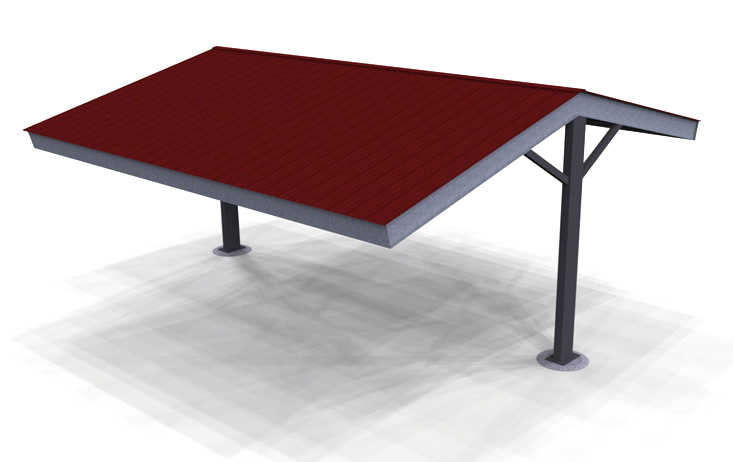 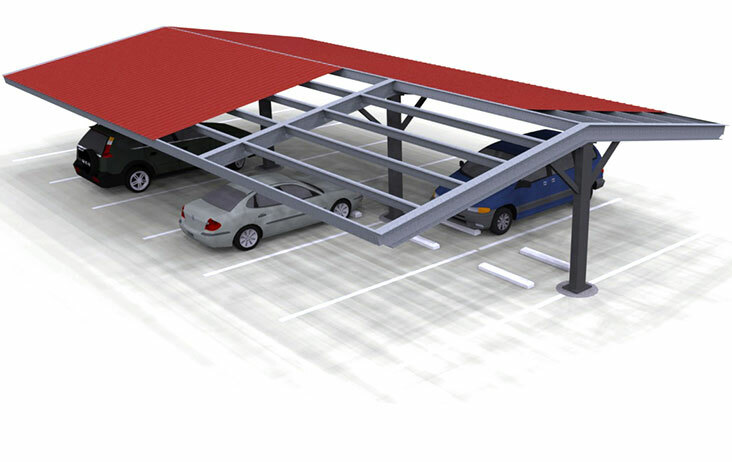 Single column flat T style carports are configured using (1) columns per bay or "two car spaces" and have a slightly pitched roof to shed rain and snow. 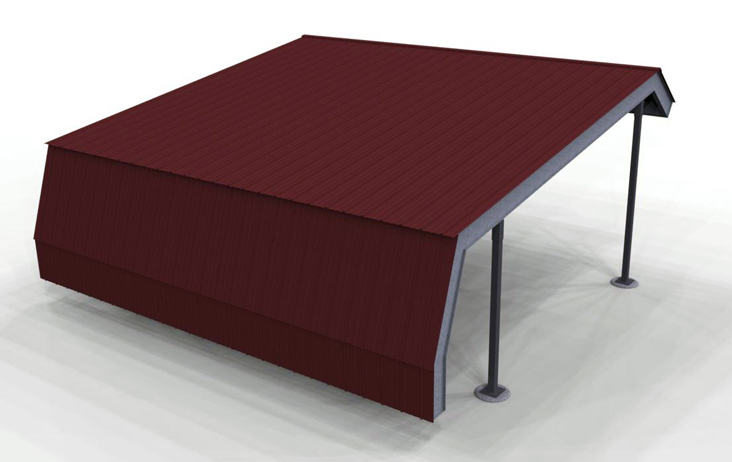 Even gable style carports are configured using (2) columns per bay or "two car spaces" and have a gable shaped roof to shed rain and snow. 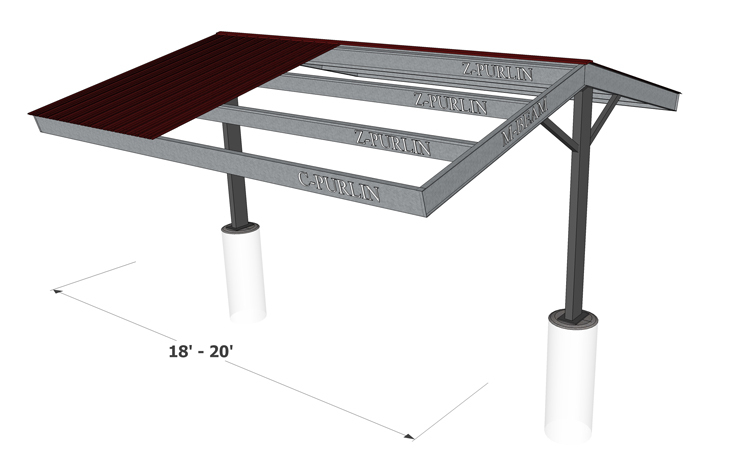 SHOP ONLINE is intended for residential and small scale orders. 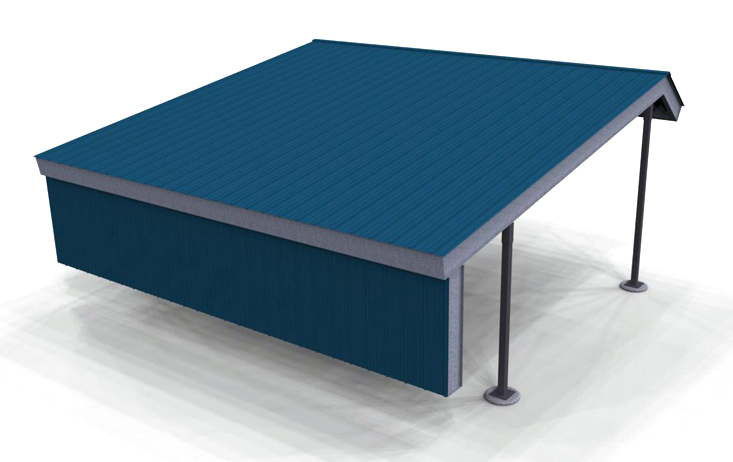 For multi-housing and commercial projects select GET A QUOTE. 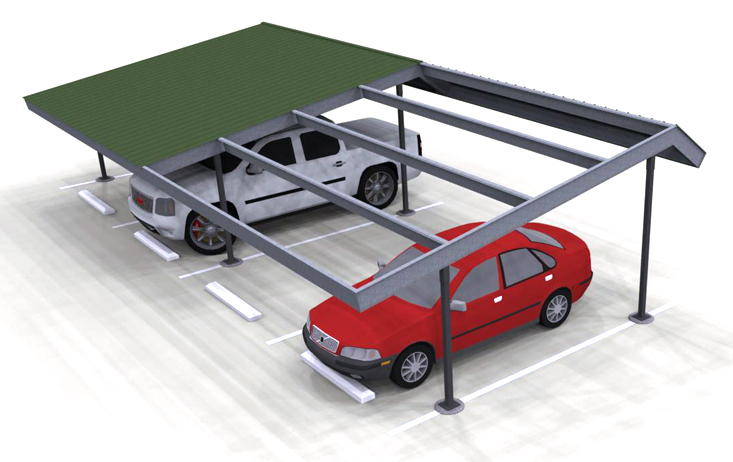 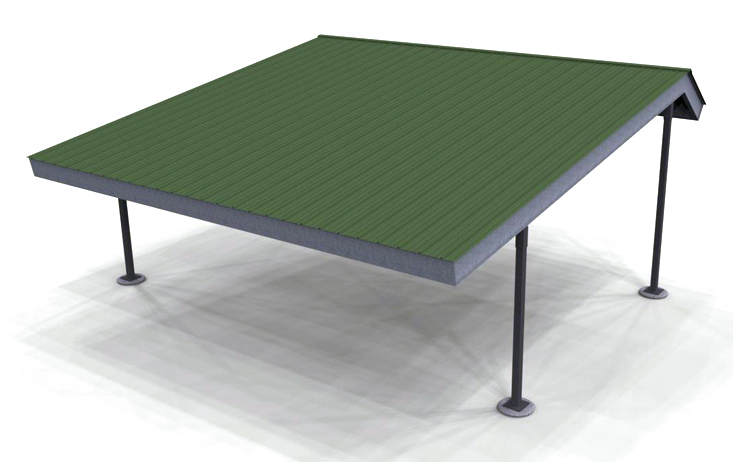 Carport Structures line of pre-engineered steel carports provide the perfect templet for commercial carport and canopy systems. 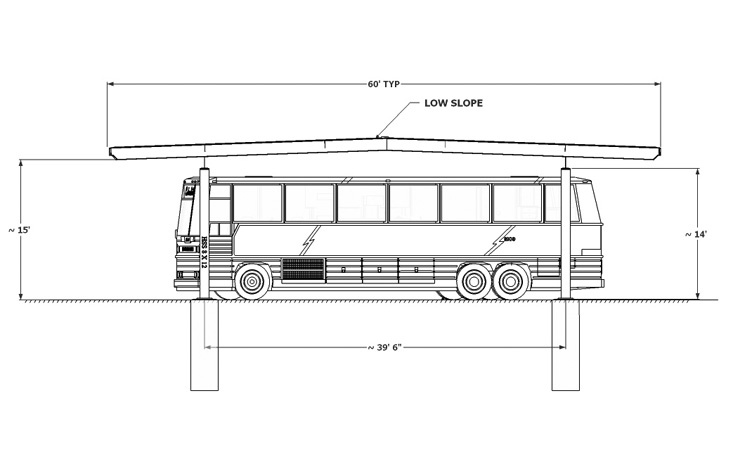 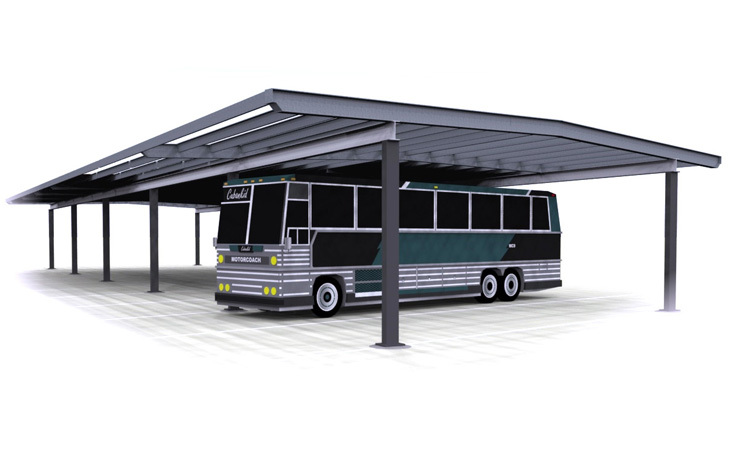 Utilizing the same connection design and fabrication techniques we are able to configure a superior commercial rv carports, utility covers, walkway covers, entryway covers and more. 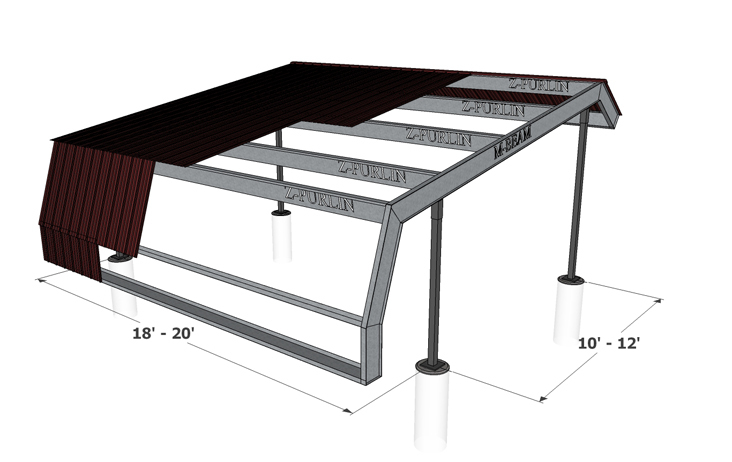 All of our structural steel carport and canopies are custom designed, prefabricated and galvanized to assure the highest possible quality commercial canopy system possible.